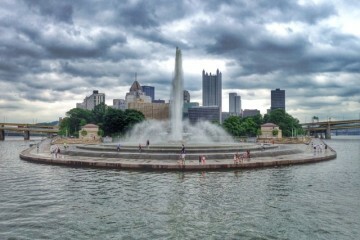 Pittsburgh just landed a spot on Outside Magazine‘s Best Town competition (read more about that here), National Geographic has dubbed us a top urban adventure city and the temps are already saying summer. This Saturday’s 15th annual Venture Outdoors Festival is a perfect way to see for yourself why our region is a 21st-century hub for outdoor recreation. 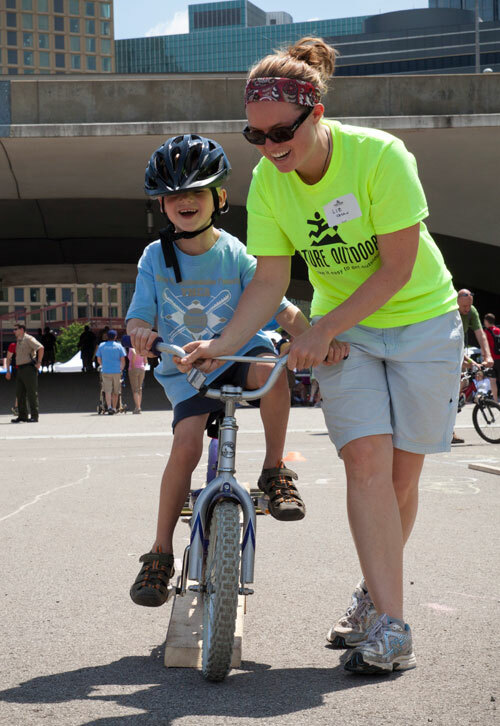 One of the region’s largest outdoor events, the family-friendly community event showcases the best in recreational opportunities our region has to offer—all in one place and all for free. 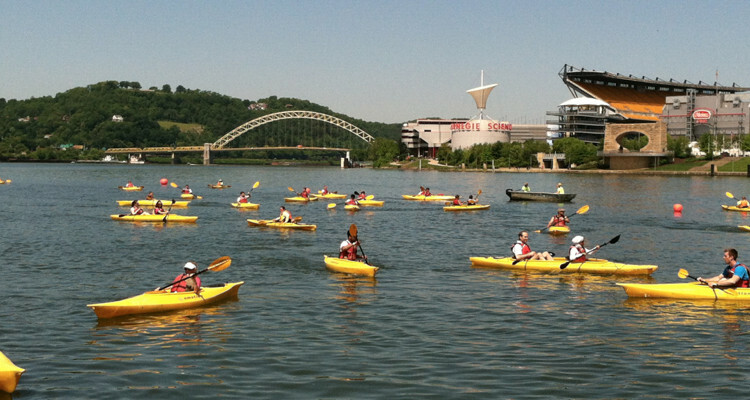 Paddle along the Allegheny River in a kayak (boats are flatbottomed and beginner-friendly! ), cast a line into the water to reel in a fish and bike the bridges of downtown, the Northside, South Side and Eliza Furnace trails. Watch a dazzling demo of Capoeira, a graceful fast-paced form of martial arts developed by African slaves in Brazil 500 years ago, and then balance your chakras along with some of Pittsburgh’s top yoga, pilates and meditation instructors. 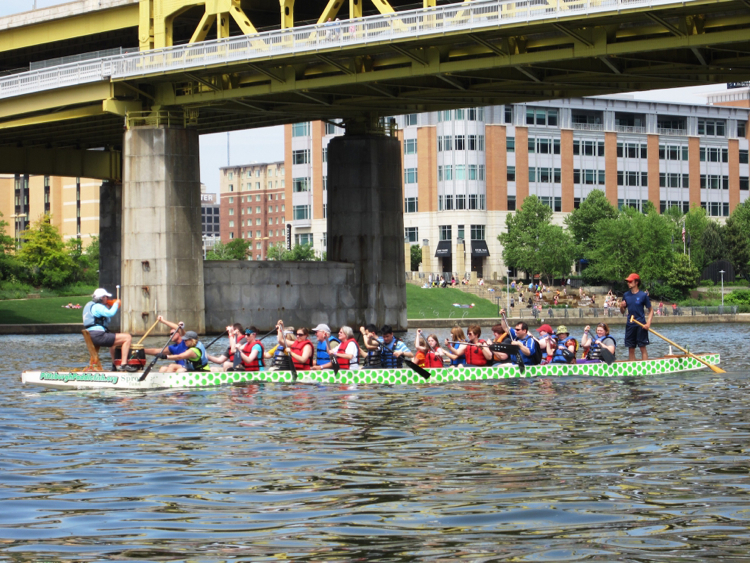 Learn to paddle in unison to the beat of a drum during lively Dragon Boating trips, peruse the latest in outdoor recreation gear and services and attempt to reach the top of a 24-foot climbing wall where you can check out the stunning view from two stories up. Looking for children’s activities? 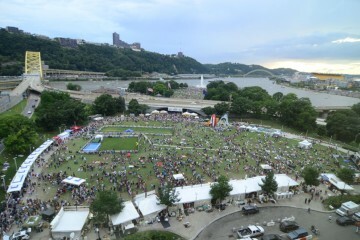 Head to the KidsZONE Tent to participate in hands-on activities and crafts, and then take a tour of the Fort Pitt Museum to learn about the traditional English game of cricket. Learn all about local recreational offerings for families such as Venture Outdoors‘ unique Tyke Hikes. Need some tips? Experienced staff and instructors from Venture Outdoors will be on-site to provide guidance and assistance to attendees. The festival will also feature local clubs, organizations and businesses along with free resources about regional parks, trails and outdoor recreational amenities.